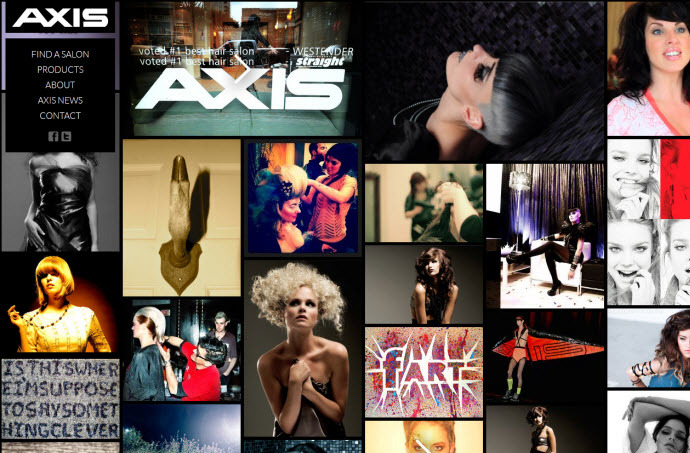 Website advertising a group of hair salons in Vancouver, Canada. The nav element shouldn’t be used to enclose the social links as they are not main navigation items for the site. Each image is incorrectly enclosed in an article element where a div would have been more appropriate. The section element is often being used here as a wrapper in which case a div would have been a better choice. Use could have been made of the email and tel input types in the contact form. Remember that the type attribute is no longer required for script and link stylesheet elements.